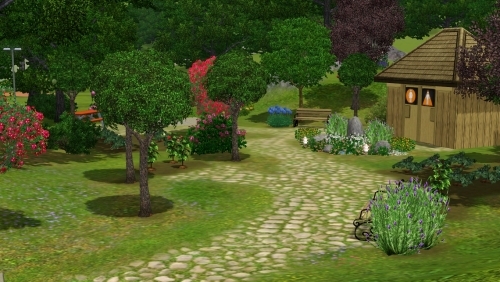 A community garden created for those sims short on travel money, gardening skills or yards just too small for gardens. This lot takes the place of Maywood Glen in Sunset Valley and works best when placed there. It has all fruits and veggies, including the plants from world adventures, except the money tree, omni plant, cheese, egg, burger and steak plants. I have also added bathrooms and a little grilling area so social sims don't have to leave early to take of "needs". So, visit the community garden for all your exotic fruits & veggies, and while you are here, you might even catch that rare butterfly you have been after! Though many of us love christian louboutin sale</strong>, others don\'t wear them very often. Some are intimidated by French Shoes</strong>, while others have just never had the occasion to wear high heels. Either way, when a \"Christian Louboutin women\'s shoes</strong> its ugly head, many will stay home with their trusted friend, the sneaker.